Data is the DNA of any business, and at Tectrade we make it our mission to protect and recover it. It’s what we do best. 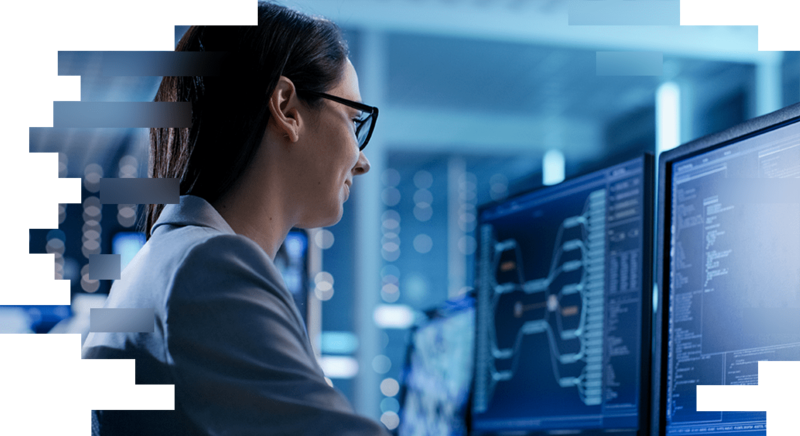 Our approach to Data Protection uses the Tectrade Data Platform that combines the world's top people and industry leading technologies to provide the utmost excellence in data protection and recovery. We understand the risks associated with failed backups and recoveries, data retention and compliance and will undertake the toughest challenges to ensure your business operations run smoothly. Our experienced consultants work with your team to ensure they understand all the challenges surrounding your data environment. Our rigorous approach leaves no stone unturned before developing a policy that is uniquely fit for your business. Using our service portfolio of broad platforms, we then design and validate a data protection solution to suit you and your budget. We are confident that our final design will solve all your business challenges and leave you with the security and peace of mind you have always wanted. Delivering solutions across the globe, underpinned by world class, award winning technologies, we are confident that when it comes to protecting the DNA of your business, you are in the safest hands possible. We align with the best vendors to solve and provide innovative solutions to varied and complex business requirements. By decoupling the intelligence from the hardware, we can provide on premise, hybrid and cloud deployment models for storage and infrastructure. With our advanced storage catalogue, cost optimization tool and storage consulting offerings, we are confident that we can face any challenge however complex the environment. By engaging with us, you remove the vendor lock-in and assisted by our broad portfolio of products we can ensure you build the best storage and infrastructure outcome for your business needs. We help you to understand the most appropriate place to store your data, whether that be for compliance or regulatory reasons, to deal with data growth or to run your business more efficiently. Organisations need to know that they’re getting the right value from their storage environment; they may know how much data they have now, but how much will they have next year, or in five years? Tectrade will help organisations to understand future growth and what that future cost might look like. We’ll explore all options to drive efficiency, reduce cost and ensure accessibility, before delivering the best outcome for your business. Whether you are in Pharma & Healthcare, Retail, Education, Public Sector, Financial Services, Manufacturing or indeed any industry we have the right solutions for you. We work across many different industries and pride ourselves on really understanding your business and the issues you face. Learn more about how you can benefit.